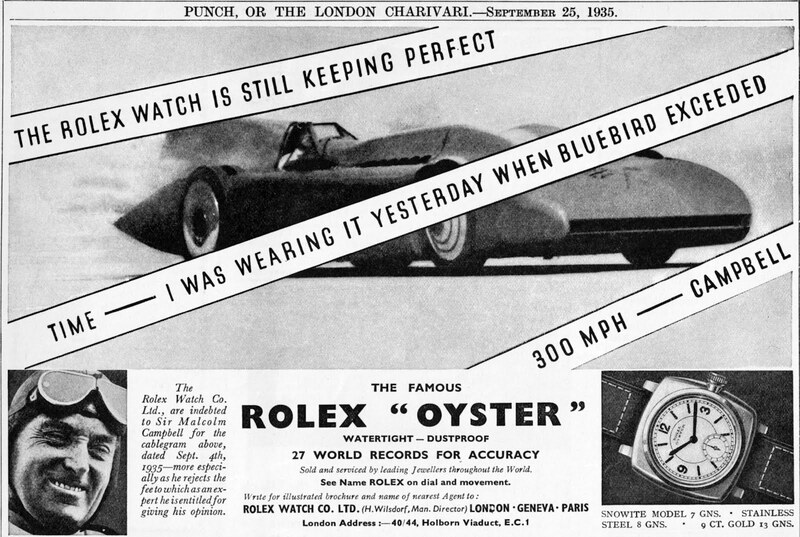 I was just tripping on this Sir Malcom Campbell Rolex ad from 1935, which is part of my story named "The Complete History Of The Rolex Daytona Cosmograph." 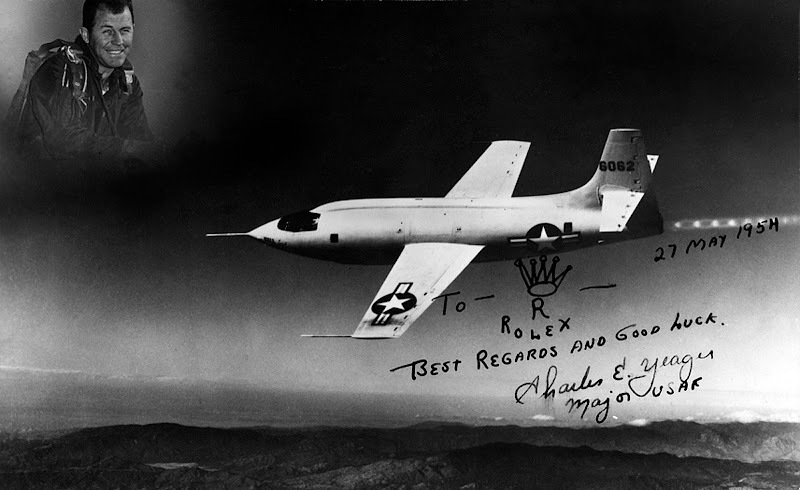 More than a decade before Chuck Yeager set the all-time speed record for level flight, when he broke through the sound barrier in 1947, Sir Malcolm was breaking one land-speed record after another, and one thing both men had in common, was they both depended on their trusted Rolex Oyster watches to keep their time. Does Campbell's Bluebird look like the modern Bat-mobile or what? Both Chuck Yeager and Sir Malcolm Campbell depended on their Rolex watches as pure tool watches. 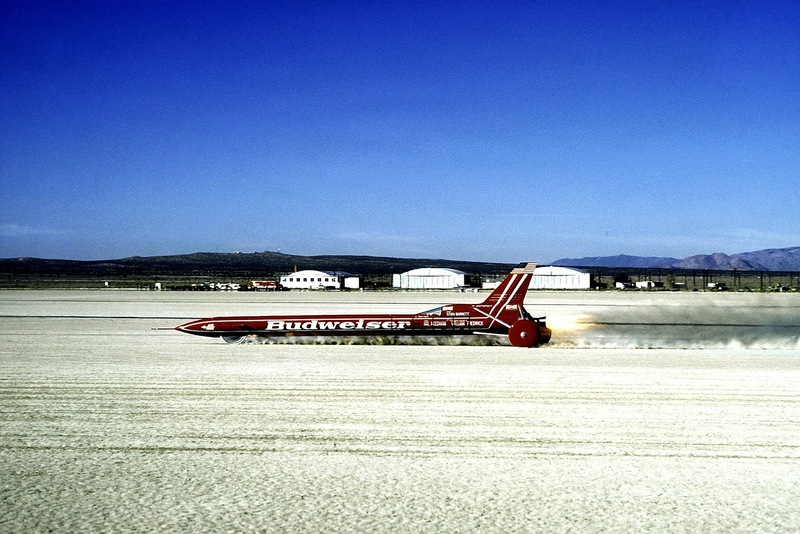 44 years later, in 1979, Stan Barrett broke the speed of sound barrier on land when he drove his Budweiser rocket car into the history books @ Edwards Air Force Base, where 32 years earlier, Chuck Yeager broke the speed of sound barrier in his X-1 Airplane. 3 Men. 3 Speed Kings. 3 World Records. 3 Rolex watches.